GREENVILLE, S.C., Oct. 10, 2018 /PRNewswire/ -- Grace Hill announced the acquisition of The Strategic Solution today, effectively aligning the multifamily industry's leading provider of online training and compliance coverage with the top provider of online policies and procedures. The move provides a comprehensive way to integrate policies and procedures with training, resulting in improved company performance, reduced compliance risk and increased employee engagement for Grace Hill customers. Sue Ansel, National Multi Housing Council Chairwoman and President and CEO of Gables Residential, was quick to celebrate the acquisition. "I believe the merging of the Strategic Solutions and Grace Hill platforms will produce opportunities for synergies, new creative designs and technical advancements that should serve to offer more comprehensive and improved offerings to the multifamily industry and a broader marketplace," she said. Jerry Wilkinson, former chairman of the National Apartment Association and founder and Chairman of The Wilkinson Companies, agreed. "I am so excited about The Strategic Solution joining Grace Hill. The merging of these two companies will fundamentally change the way property management thinks about talent management, business practices, and risk management by offering a fully integrated platform to inform, educate, and develop associates. My congratulations to the Grace Hill gang and The Strategic Solution teams for this accomplishment. I look forward to continuing in an advisory capacity for this terrific group," Wilkinson concluded. "Grace Hill looks for best-in-class companies to partner with. 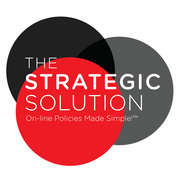 For more than 10 years, we've partnered with The Strategic Solution to successfully link our mutual clients' policies and procedures with Grace Hill's courseware and compliance program. We're thrilled that The Strategic Solution has chosen to join Grace Hill, alowing for complete integration," explained Dru Armstrong, Grace Hill CEO. "The move allows us to completely integrate a company's policies and procedures with their skills and compliance training to improve company performance, further reduce compliance-related risk and increase employee engagement. The full integration will allow us to produce benefits for Grace Hill clients that are unique in our industry." "This integration is a major win for multifamily and Cardinal is excited that two of its critical strategic vendor partners, Grace Hill and The Strategic Solution, will now be one company under Grace Hill," said Alex O'Brien, COO of Cardinal Group Companies. "The integration allows training to reinforce company policy and procedures through multiple touch points, resulting in increased employee consistency in both the resident experience and reduction in compliance risks. That's a substantial value to us, as part of what differentiates Cardinal is an exceptional community experience for residents and remarkable risk-reduction for investors and clients." "As an entrepreneur and an executive in the multifamily industry for more than two decades, I am excited to join Grace Hill in an executive role and, in partnership with Dru and our teams, to help solve our clients' most pressing challenges," says Kendall Pretzer, CEO and Founder of The Strategic Solution. "We have partnered with Grace Hill for over a decade because policies and training go hand in hand. This feels like a natural evolution of the relationship we have built. Grace Hill offers best in class training and leading-edge technology. Our partnership will be a win for our clients, our teams, and our users." "As a client of both Grace Hill and the Strategic Solution for many years, we are excited about the consolidation of the two companies within Grace Hill," said Krista Washbourne, VP of Learning & Talent Development for Lincoln Property Company. "Training and especially online learning is often rooted in policies and procedures. So, pairing the two for efficiencies and improved outcomes can only lead to enhancements on both sides, and ultimately for our associates. I am looking forward to the future benefits we'll receive from the pairing of the two!" As an example of how the integration will produce superior results for clients, this week multifamily employers in the state of New York are compelled by the state to begin complying with new rules and regulations surrounding sexual harassment policies and training. The integration will ensure that Grace Hill clients have access to the most current training available, that reinforces up-to-date policies and procedures provided by The Strategic Solution.